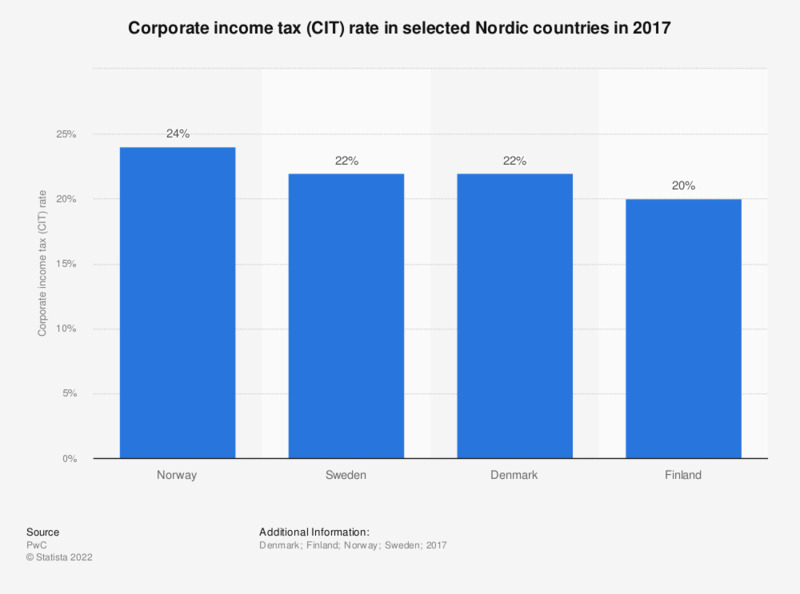 This statistic displays the corporate income tax (CIT) rate in selected Nordic countries in 2017. In Norway, the corporate income tax rate amounted to 24 percent. In both Sweden and Denmark the corporate income tax rate was 22 percent. Meanwhile, Finland had a CIT rate of 20 percent which was the lowest in the surveyed Nordic countries. Corporate income tax refers to the fact that a business as a legal entity is taxed by a government. In the Nordics in principal, a tax resident company is generally subject to corporate income tax on its income world-wide.